The ACK-118 BK is a numeric keyboard made with silicone which makes it absolutely dust- and waterproof (IP64). hygienic applications whenever only a numeric keyboard is needed. The ACK-118 BK is a numeric keyboard made of silicone which makes it absolutely dust- and waterproof (IP64). It has an integrated multifunction key for the start of the calculator under Windows and an USB connector with spring-driven cable reels. This keyboard is especially convenient for mobile use as well as for all dirty, moist and respectively hygienic applications whenever only a numeric keyboard is needed. 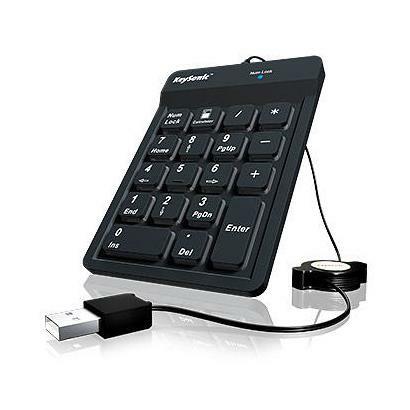 This dust and splash-proof keypad of Keysonic could be it. 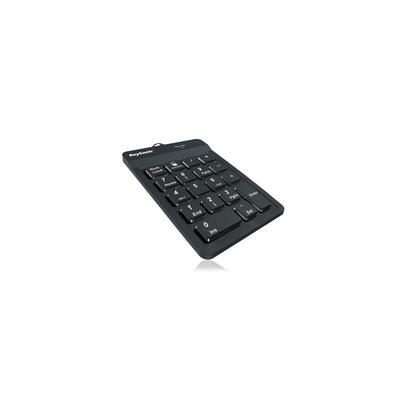 Especially in application areas where it gets dirty or wet, or hygienic standards must be absolutely complied (IP 64) and only numeric input methods are used, this number pad is the ideal partner. A cable reel ensures that every bit of cable that is not needed, is quickly rolled up by itself. So the order in the workplace will not be a difficult task anymore. If you use the Windows operating system, you can use the shortcut key for the calculator by pressing the button to display the Calculator.